A successful ceasefire brokered by Ankara, Moscow, and Tehran finally gets the warring sides in the Syrian civil war talking to each other, as Turkish forces and their rebel allies advance further inside Syria. Turkish President Recep Tayyip Erdogan is declaring that his troops will not stop until ISIS is defeated. How far is Turkey planning to go? And why was the unlikely Turkey-Russia-Iran alliance able to achieve more than the West in brokering peace for Syria? 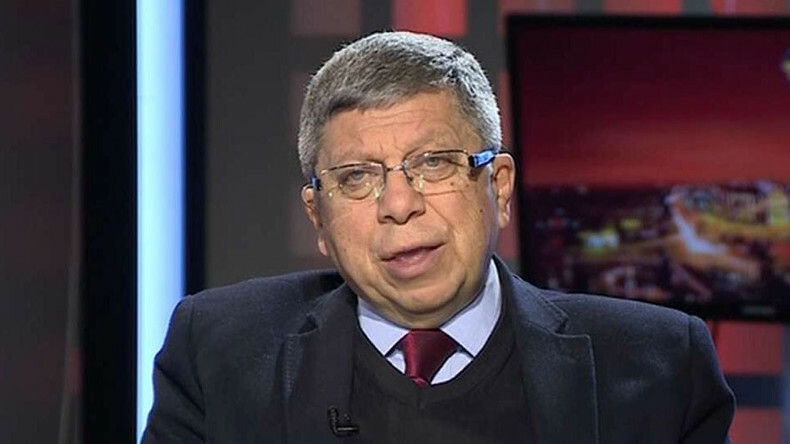 We ask senior adviser to the Turkish president – Ilnur Cevik. Sophie Shevardnadze: Senior adviser to the President of Turkey, Ilnur Cevik, welcome to the show, it's great to have you with us. SS: So, Mr. Cevik, Turkish-backed forces are in the process of taking the town of Al-Bab from ISIL. Liberating al-Bab used to be the final objective of the Turkish operation in Syria - now President Erdogan says he wants to go as far as Raqqa – the capital of ISIS. How much control does Turkey want to gain over Syria before it stops? IC: It doesn't want to gain any control on Syria. It wants to finish off Daesh, the so called 'Islamic State' militants. It wants to wipe them out. So, this has nothing to do with Syria, we do not want to remain in Syria. When we finish off Daesh, if the area is properly secured and we know that they will never come back, Turkey will not remain in that country. SS: It has taken the Turkish-backed Syrian rebel forces more than a hundred days to even get into al-Bab, and they are still bogged down there. What makes President Erdogan so optimistic about his rebel allies, how can he be so sure Raqqa will fall to them quickly? IC: There are a couple of reasons. One is we're not bogged down in al-Bab. It was a very, very successful operation. Nobody would've been able to secure this kind of operation. In a 100 days we've cleared away all the region - 45 km deep into Syria and 90 km at length. So, it's a huge area of more than 5,000 square km. That was a big achievement. Al-Bab itself is a very big achievement. We only did it with 3,000 troops, armor-supported infantry, but it was a very successful operation, and everybody, including American generals, Russian generals are saying that this is a great success for an army of this size. Turkey was very successful. Now, why Raqqa? Because we want to finish off Daesh, as I told you before. However, Turkey has enough forces to do this. Besides, the tribes around Raqqa are Arab tribes which are very close to Turkey. They would prefer Turkey more than they would do Kurds, Syrians or Americans. SS: President Erdogan says he wants to establish a ‘safe zone’ in Syria’s Raqqa - tell me in detail, how exactly that would look like? IC: No... The President doesn't want to establish a 'safe zone' in Raqqa. He wants to establish a safe zone in the 45 km deep and 90 km wide area that we've already secured. In those areas, we want that place to be a no-fly zone, so that we can put all the migrants into that area and keep them in safety. SS: The Russian air force and Syrian gov’t forces are in action there, in that area - are they on board with Turkey’s plans? IC: Russia is a friend, and Russia has looked the other way, let's say, when we were doing all these operations. The Russians and Turkey are very closely coordinating everything at the moment, and the Russians keeping the Syrians informed about what's going on, and they are keeping the Syrians at bay. So, we have no problems with Russia or Syria. It's a perfect, smooth operation at the moment, thanks to President Putin. SS: President Erdogan has said that he will clear Raqqa with the help of the U.S.. If American boots are on the ground in Syria - could this potentially turn into a full-scale U.S. intervention? IC: I don't think so, no. I don't think it's going to turn into a full-scale U.S. intervention, I don't think the U.S. wants to be involved in that kind of intervention. But Turkey is saying, "if you support me with some troops but also with aerial support and if you provide the ammunition - it will be more than welcome!". But Turkey has said that if nobody does this, we can do it on our own. SS:To get to Raqqa, Turkey will have to fight through the territories of the Syrian Kurds, whom it accuses of ties with insurgent groups at home. Is that the plan - to defeat the Syrian Kurds along the way as well? IC: At the moment, the plan is just... To the West of Euphrates, there's a place called Manbij, and we want the Syrians out of that place, out of Manbij, we want the Syrians out of all the areas to the West of Euphrates. So, we want them to move to the east of Euphrates. If they don't, we are going to clean them out of Manbij. So, after Manbij Turks may proceed through this area, but I think the U.S. - if there's an agreement anyway with the U.S. - the Americans will keep the YPD away from us. SS: Right. The question is then, if they don't move - are you going to be moving them out by force? IC: That is an option, but at the moment, I think that these are all theory. We have to look at what's happening on the ground. SS: The Syrian Kurdish forces are at the moment making gains near Raqqa, getting close to surrounding Islamic State's capital. They’ve been fighting ISIL for four years already. If the Turkish operation is truly aimed against defeating ISIL, why use force against those who fight it? IC: We see that the Syrian Kurds will not be really capable of liberating Raqqa, simply because, number one, they don't have enough forces, even though they have American arms and I don't know if you're aware, but in Raqqa, there are 75,000 Daesh fighters in the area. They are a formidable force. Only a country like Turkey, only strong countries like Turkey, Russia could handle this and cope with Daesh. I don't think the Syrian Kurds are capable of doing this. SS: Mr. Yildirim, the Turkish Prime Minister, said there would be ‘serious issues’ for ties with Washington if it continues its support for Syrian Kurds - will Turkey go into confrontation with a NATO ally if the U.S. refuses to stop cooperating with Kurdish groups? IC: No, Turkey will then move on to finish off the YPD in Manbij and then we will secure our zones. I don't know if then we will proceed on into Raqqa, but I can assure you we will not have a soft ride with the U.S because our condition with the U.S. is 'severe you ties with the Syrian Kurdish terrorists' who are actually being armed by the U.S., and who are using those arms for violence inside Turkey. SS: Right, so what precisely will Turkey do, if they don't back and they keep arming the Kurdish people in Syria? IC: We will not be having a confrontation with the U.S., I don't think. But, we will definitely be confronting the Syrian Kurdish terrorists, especially those who are linked to the PKK. SS: Right, I got you. So, clashes have already been reported between the Turkish-backed rebels and Syrian government forces. Is the Turkish military going to stand by “its” rebels and intervene - and will that lead to direct clashes between the Turkish and Syrian armies? IC: Will this kind of clashes are inevitable because if you are going to move into Manbij, if they don't vacate Manbij, as we have warned the Americans, they we will do that on our own and the Syrian-backed militia close to Turkey will be involved in this. SS: So, the way a lot of people see it from the outside, Turkey’s Syrian proxies are not interested in targeting Islamic State in Syria, but their final goal is to take out Assad - so is that the final goal of the Turkish government as well? IC: Turkey is not going to go into a confrontation of removing Assad by force. That is why Turkey and Russia and Iran are holding the Astana talks - so, here, using force against Assad is, I don't think that's on the board. SS: At the same time - Turkey’s deputy Prime Minister says Ankara will ‘no longer insist on a settlement without Assad’ - Tell me, what's going on right now, is the Turkish leadership today ready to cooperate with the Syrian government? IC: Well, our Presidential spokesman has already spoken today, saying that we will never cooperate with Assad, because he's a person who has killed so many of his fellow people, around 1 million of his fellow people. So, cooperating with him is out of the question. SS: You said in the first part of our interview that the Turkish government doesn't want to cooperate with Assad. But Ankara, like the the deputy Prime Minister said, is ready to see a settlement of the war in Syria with Assad in place? So how does that going to work, how does that go together? IC: Maybe, with Assad regime in place, but not Assad. SS: Ok, I see. So, one of the goals is removing Assad then, or how else would you get war settlement, right? IC: Well, yes, of course, and that is of course the priority of all the Syrian opposition. SS: Closer to us, UN special envoy to Syria Staffan de Mistura has said that the Turkey-Russia-Iran orchestrated ceasefire has more chances to succeed than the previous agreements - so are Turkey and Russia the only ones who have actual influence on the ground in Syria? IC: Yes, there's an element of Iran as well, because they have Iranian militia there, they have the Iranian National Guard, the Hezbollah - so they can control some of these people, but the fact that the ceasefire is holding is thanks to Russia and Turkey. They have done a marvellous job in stopping this fighting, nobody could ever achieve this and nobody has achieved it until now - so we have done a great job and I think we should be applauded for that. SS: The U.S. admitted it does not control any forces on the ground in Syria - and failed to act as a guarantor of Syrian peace before. Can a final resolution for Syria be enacted without Western involvement? Should the U.S. back down now and let Turkey, Russia take over the peace process? IC: Well, the U.S. has already disqualified itself from the Syrian equation for a very long time. If President Trump decides that he should have a say, some way or another, and if he sits down with President Putin and President Erdogan, nobody will object to that. But I cannot see the Americans for a long time trying to decide on what they want to do, because already they are having a lot of discussions about what should they do with the Syrian Kurds, they are not sure of what to do, so there's a kind of question mark around American involvement in Syria. So, without the Americans, Western involvement is mainly a joke. SS: Turkey, Russia and Iran support different sides in the conflict and have different interests - how can this alliance hold? Do you believe in it? IC: That's why it can hold! They are controlling different crucial elements in the fight. So, if they had not been able to control these elements, if they could not influence these elements, then they would have not been able to achieve this ceasefire. So, in fact, the fact that they have good ties, closer cooperation with these different elements and the warring sides is, I think, the reason why they have been so successful. Besides that, the close cooperation between Turkey and Russia, the new bonds that have been created between President Putin and President Erdogan have been very valuable and this kind of new friendship is, I think, contributing to regional peace in this sense. SS: The broader question is, what happens in a while? Can you really achieve peace in Syria and balance out your interests at the same time? Because people view this as a volatile situation. IC: I think that's a one million dollar question. Now, what we're having at the moment is - we are going slowly, slowly towards a kind of settlement in the end. But, these are very premature steps. The fact that a very fragile ceasefire has turned into a permanent ceasefire and now seems to be successful - we can build up on that. This will be a slow, but sure process. Slowly, slowly we're going to get to area where we can be talking about a solution. SS:And also, one big question, at the end of the day, is also - can the Syrian parties be satisfied with the resolutions that the bigger powers will come up with? Because, it is their country after all. IC: Yes. All the sides are trying to get them involved in this process, because if you don't have the people of Syria deciding on their future - I think it would be very wrong for Turkey, Russian and Iran and anyone else to impose their will on these people. The will of the people is more important than anything else. SS: Now, Mr. Cevik, from my observations, lately, Turkey has rarely been in a conciliatory mood - engaging in confrontation with Russia a while ago, with Israel, other neighbors... Ankara's attitude seems to be shifting right now - it's talking to Israel, it's partnering with Russia, it's searching for ways to cooperate with players in Syria - why are we seeing this turnaround? Is it trying to mend ties on the foreign policy front also due to its internal issues? IC: For us, Russia is a very valuable and a very important ally. We want to cooperate with them. Our relations with Russia is not an alternative to our relations with the Western powers, with NATO, but I have to stress that at the moment we're moving towards a new World Disorder. Instead of a new World Order, we are moving into, unfortunately, a new Era of Disorder. And there, the good relations between Turkey and Russia, the cooperation between Turkey and Israel are very, very crucial for the future of peace in the Middle East. Besides, I think that the U.S. should be also onboard, but as I said, they are trying to get their act together. In the future, we will see Turkey and Russia, Turkey and Israel, Turkey and Britain, Britain and Russia - all these countries cooperating closely between themselves and trying to achieve a kind of order in this disorder. SS: Turkey’s deputy Prime Minister said the U.S. has to make a choice - either Gulen or relations with Turkey. The preacher Fethullah Gulen, who resides in the U.S., is actually blamed by Ankara for the military coup attempt in 2016 among other things. Is Turkey certain America will extradite him under the new president? IC: We are very pragmatic, we know that the U.S. will not be able to extradite him overnight. It's a very complicated process, as you know. The American judiciary is a very complicated institution and what we see there is - they will... What we want is, we want them to at least control Fethullah Gulen's activities in the U.S. We do not want them to have a free ride in the U.S. We want the U.S. to confiscate their assets and curtail the movements of Fethullah Gulen himself and his followers. So, all of these, if the U.S. can do this, they will be welcome, because in the second stage, when they decide to extradite Fethullah Gulen, we know that there's going to be a legal battle, and this is the American system. Now, President Trump imposed a visa ban on the citizens of seven Muslim countries - and look what happened! His decision was overturned by a Federal Court and then a Court of Appeals, and now it's bogged down in the American judiciary system. So we know the system works, but at least they can make an effort to silence Fethullah Gulen and stop him from this kind of activity against Turkey in the U.S.
SS: But my question was more about your expertise and intuition because when Obama was in office, it wasn't looking too good in terms of controlling Gulen in the U.S. Do you feel like there's more chance that Trump, he's going to meet your demands regarding Gulen, or the contrary? IC: Yes. I think so. I think there's a good chance. SS: Turkey’s relations with the EU have been tense. Turkey’s Foreign minister has once again voiced threats to scrap the migrant deal - this time after an extradition spat with Greece. Has the deal turned into a sort of leverage over Europe? It seems like it, to us... Is Turkey prepared to go beyond just threats and actually end the agreement - sacrificing a 3 billion euro payout? IC: We see that there's a kind of disorder in the EU. With the British moving out of the Union, there's a kind of disarray in the EU, and we see that they are really deep in trouble. We are not threatening them by ending the migrant deal, but what they are saying is that they have not kept their promises in any of these areas. We are saying: "Keep your promises, or else we will not be able to continue this kind of one-sided agreement!" SS: So many things have changed lately, especially with Brexit. Just a year ago Turkey was eager to get visa-free travel to Europe, revive EU membership talks, but now that doesn’t seem like a priority for the Turkish leadership anymore. So does Turkey still need the EU or not? IC: We still wish to be a member of the European Union, but, of course, with the EU falling apart, with this kind of antagonism towards Turkey in the EU, plus, growing Islamophobia and the support that is given in many European countries to Fethullah Gulen terrorist gang, and support given to PKK, is really alienating the Turkish people and thus alienating the Turkish government. SS: The EU doesn’t seem to be serious about letting Turkey join. A non-binding EU vote even suggested that talks on Turkish membership need to be ended. Is the EU just using Turkey to solve its migrant issues? IC: I understand what you're saying, but we have our own agenda, and that agenda is to help these migrants as much as possible, give them the best of conditions. We've already spent $25 billion for 3 mn refugees in the past 5 years. We will continue doing that. However, of course, there's a limit to what we can do and there's a limit to our patience with the European Union. SS: Alright. Mr. Cevik, thank you very much for this interview. We were talking to Ilnur Cevik, Senior adviser to the President of Turkey, discussing the country's role in the Syrian civil war and its changing relationship with its great power allies. That's it for this edition of Sophie&Co, I will see you next time.